There is little doubt about local support for President Obama here, but there is none shamelessly among Ceredigion‘s Victorian refugees in Ohio (a state which has backed every winner in presidential elections since 1964) who have abandoned their liberal and socialist roots to vote for the Republican candidate. President Obama has kept a clear lead in the polls in Ohio and nationally – whenever that is people are asked who they expected to win or who they bet on to win as opposed to whom they will vote for. President Obama’s stimulus packages and heathcare reforms put clear water between his administration and the Republicans (although he has seemed unwilling to tackle the roots of the banks’ promiscuity). 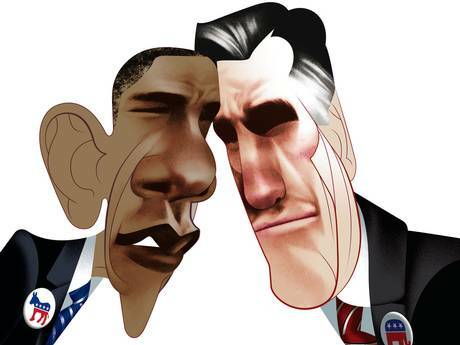 Romney’s dash to the centre may have helped his ratings; but does it show a disdain for Tea Party Republicanism? Or do the closeness of the polls reveal more about our biases than about what is really going on? The corruption of American political life is not new but it is no less shocking. One might have thought a great democracy in choosing its leader could have found time at least to consider its ongoing and seemingly endless war: to debate, for example, whether drone strikes might be creating as many terrorists as they are killing; or to ask whether Americans truly believe that their president should have “the unreviewable power to kill anyone, anywhere, at any time” with no judicial oversight whatever; or even to inquire of their leaders, actual or prospective, how many thousands will need to be killed in this manner before the war on terror could finally be declared at an end—if in fact it ever can be.